Zoller Roofing has several crews of professional roofers with many years of experience handling all different types of residential roofing including tile, shingle, metal, and flat roofing. 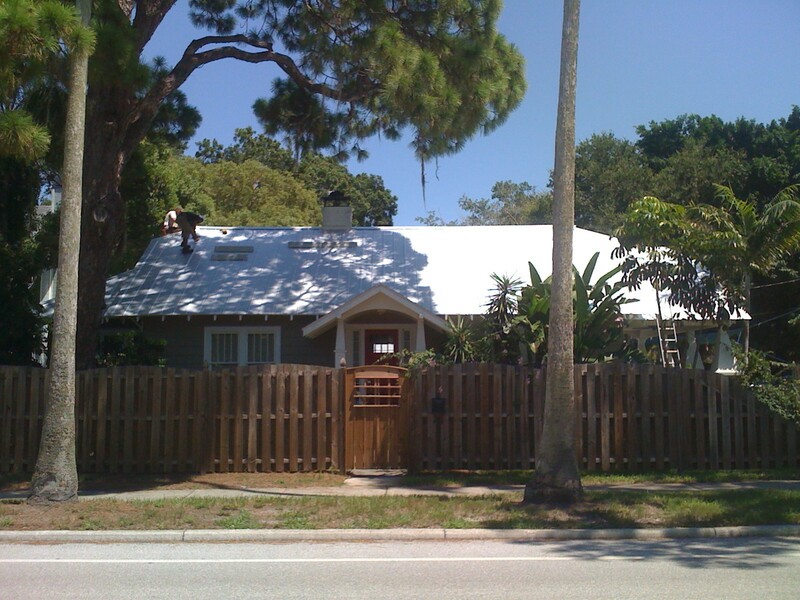 Tile re-roofing is a major part of our residential business and we work in almost all neighborhoods in Sarasota, Venice and Bradenton. 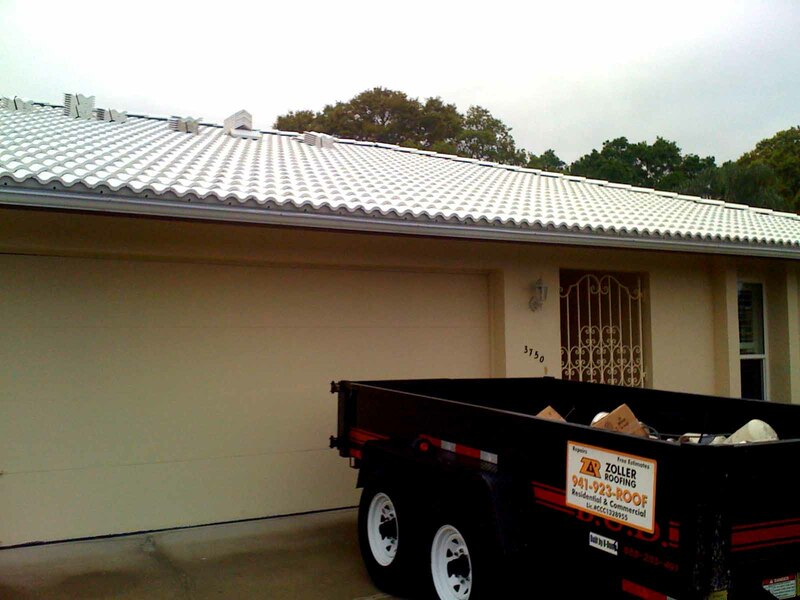 We have different crews that specialize in each type of roofing. Feel free to ask for a list of jobs in your neighborhood. We offer 50 year labor and 50 year material warranties on GAF shingle systems. GAF Master Certified Roofing Contractor. 50 year labor & 50 year materials on GAF shingle re rood system. A+ Rating on Angie's List. Deer Creek, Turtle Rock, Prestancia, Seranoa, Cherokee Park, The Oaks. The Oaks Preserve, Laurel Oak, Sorrento, Venice Beach, Casey Key, Siesta Key, Lido Beach, Bradenton Beach, Gulf Gate, Sarasota Springs, The Meadows, University Park, Lakewood Ranch, Palma Sola Bay, Pelican Pointe and many more. Call us for a list in your area. Condominium, HOA and Apartment Maintenance. We offer a wide range of yearly maintenance options for each specific roof type. Green Roofing: We are involved with several green companies in the area to promote green roofing with many options. 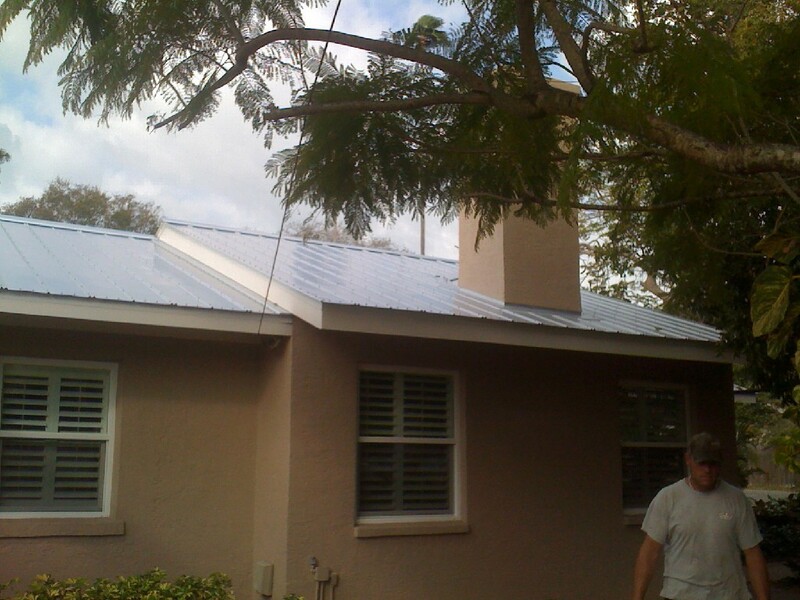 We have installed numerous P.V roof systems. We also recycle close to 100% of the old roofing that is removed during a re-roof.